Since I was downloading a couple of files that needed to be joined together, I thought that I would write a bash script to do this for me. The file that I was getting was from a friend whom had created a home movie of his son walking but could not send the whole thing but had to send in parts, he used a program called HJSplit, but I wanted to join them together using just linux command line commands. So after doing that I have done a small bash script that will do a similar task for me every-time without needing to type in a few commands. # joining program, that will join files together similar to hjsplit. echo "Adding file $i to $output"
echo "input filename(s) | output filename"
echo "Please input the searchable filename and the output filename"
With the Laptop that I have, it appears to have a 32 bit northbridge with a 64 bit cpu’s, I have logged this error with the PCI kernel group because hopefully they will be able to give some advice and also I am giving data back to the Linux group on the whole. Shall put any advice on the kernel PCI group list back on this page regarding the error, if anyone wants to look over the 2GB/4GB dmesg + /proc/iomem files just say. allocating the memory associated with the devices and places then out of range. #35-Ubuntu SMP Tue Sep 22 17:33:42 UTC 2009 i686 GNU/Linux from a kubuntu 9.10 setup and was hoping to have the fix already applied. the rest of the OS can see the and use the rest of the RAM ? The only advice was that how about trying out the 64bit kernel, which is what I am using. I basically have 2GiB of memory and also L1 cache (on die cache on the cpu) of 16KiB and 4MiB L2 Cache. Here is a wiki page that details what L1 and L2 cache are CPU cache, basically L1 means on CPU die, and L2 means slightly further away from the L1 cache. If there is a memory call L1 is the first hit, then L2 and then the memory and then swap space (harddrive), the lower down the line means slower result time. SugarCRM is a very nice and open source CRM (Customer relationship management) system. Being open source means that you are more than welcome to add/alter your own modules to it. I am going to do some modules which add in some basic information and how-to’s. This how to is how to add to a left menu item and in this case a account main menu left menu item. Also going to be doing a module for it, so that you can upload to different SugarCRM’s that you may have, e.g. development version and live version. The module consists of the main manifest.php file which holds all of the main details, module name author, description etc and also the install definitions. Here is a basic manifest.php file that has the main details and install definitions for adding a menu item to the Accounts module. As you can see from the above code, the acceptable sugar flavors means any of the version types of sugar, development, pro etc.. and the acceptable sugar versions means which version of sugar e.g. version 4.1.2 or 5.etc. the name etc speaks for itself really. The installdefs are what happens with the files and such when the module is installed, id is the name of the module, the one that we are focusing in on is menu, this will insert the code below into the a set menu module (this case the Accounts menu structure). The ACLController will check the access level of the user for editable, ACL(Access Control Level), and if so place a new menu below called “Personal View”, the action in the module_menu array is what is called and thus you will need to have a DetialViewPersonal.php in the modules/Accounts directory, but this was just a how to, of how to insert a menu item and not the underlying code. There is more to come!. To convert video files into Video DVD’s for general usage well there is allot of applications out there that can do the job, command line (bash) if you want to or just use a GUI. I personally used to use a commmand line but now I am using a GUI because personally it just is as easy and sometimes it is nice to use a gui and not have to think as such. The application that I use is called DeVeDe and it just makes the conversion very nice. Here is a step by step guide to use it. 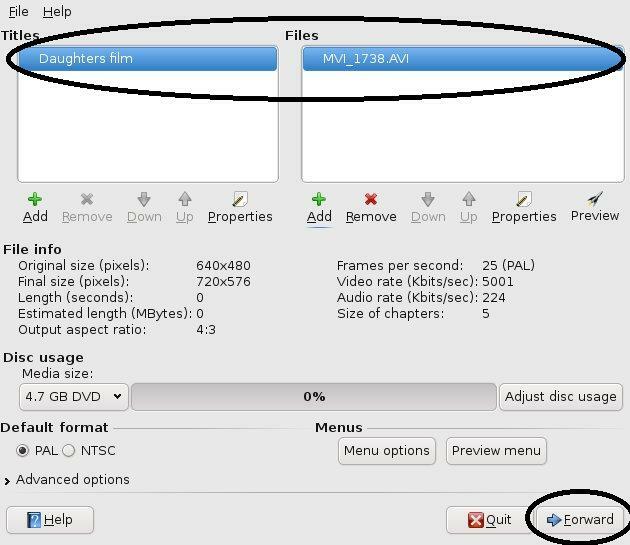 Here is the output types that you can choose from, I have never used anything else but Video DVD. Start the create of the DVD structure, e.g. files and titles names. Properties of the title name(s) that you would like to come up on the main menu of the DVD. 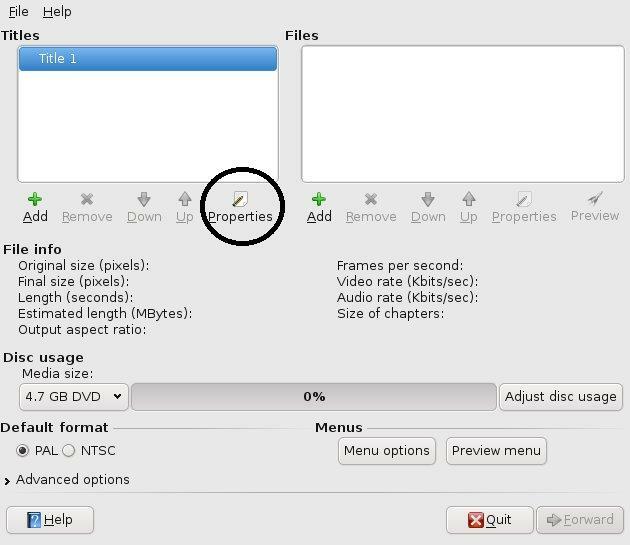 Add the files that you want to associated with the title on the main menu of the DVD, these could be of any type of file Xvid, MPEG, etc. Titles and the files that are associated with the DVD structure. 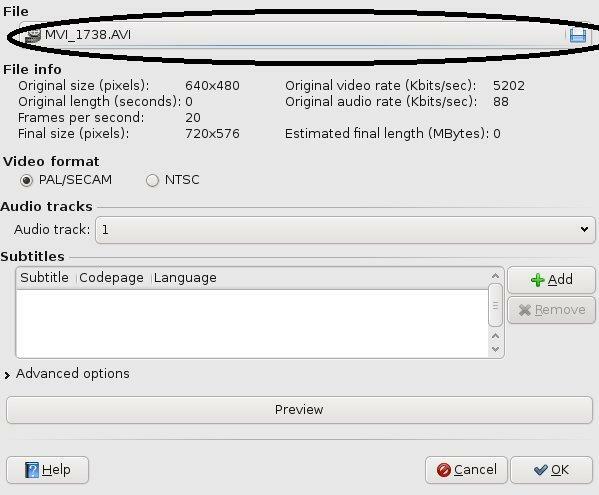 Create the DVD, this will progress to where to place the ISO image of the DVD structure. After looking over the virtualization with different setups, KVM and VirtualBox I decided to use the virtualbox method because it just appeared to be nicer and with a nice GUI per machine just felt nice. With the additions of the Guest Additions to allow for sharing of folders from the host machine to the virtual one and also the mouse was no longer taken within the virtual machine, I just liked it and to setup a bridge for the virtual machine to use for the networking I created a small script that does the job of deleting the KVM inserting modules into K/Ubuntu.